To all those connoisseurs of photography, here’s a big news for you. Nikon, a company that needs no introduction, has announced that it will be launching the all new D7500 DSLR camera for $1250 body-only. The camera us definitely a budget camera and amateur photographers can purchase the device. 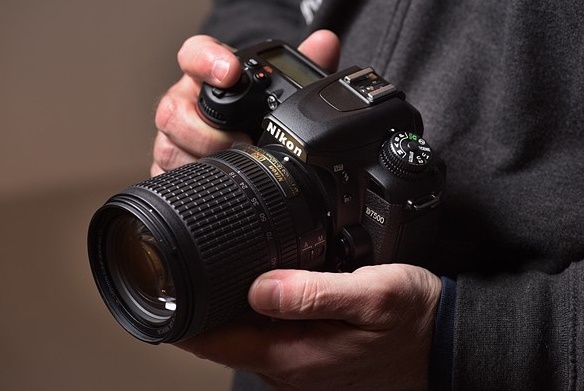 A great combination of hardware processors and photography technology has been incorporated in the Nikon D7500. It will sport the same processor used in the high end D500 which means faster performance. 1. The camera features a 20.9-megapixel DX-format sensor. 3. 8fps continuos shooting and 4K UHD video at 24, 25 and 30fps. 4. D7500 sports an Expeed 5 imaging chip, the same processor that’s on Nikon’s D500 for fast and superior performance even in movement and in low light conditions. 5. D7500 comes with a 3.2-inch tilting LCD and an OLED electronic viewfinder. 6. It features built-in Bluetooth and WiFi that let you share photographs wirelessly. The features stated above are the primary features that are accompanying the camera. A plethora of features are yet to unfold. Nikon will launch the device in Summer but it’s still not clear exactly when is it going to happen? The body of the camera costs $1,250. There’s also going to be a $1,750 kit that includes an 18-140mm f/3.5-5.6 AF-S DX Nikkon lens.